So I was ready to build the suspension attachment points and decided I’d better do a finite -element analysis. It turns out they needed a lot of tweaking, and in a shin-bone’s-connected-to-the-thigh-bone kind of way, I ended up redesigning just about every suspension part all the way to the lug nuts. Part of this came when the quote on building the upper suspension attachment clevises came in way higher than expected, so I redesigned them so they could be laser-cut, hopefully much cheaper than CNC machining. Don’t have the new quote yet. Also, I received the huge shipment of parts, supplies, and tools that I’ve been aggregating in LA for almost the past two years, and some idiot in purchasing (me) managed to order the wrong brake calipers. Everything was right except for the mounts, which are the lug style instead of the radial style. At least now I really know the tradeoffs between the two approaches. The upright for lug mount brake calipers is only about 35 grams heavier than the one for radials, and the calipers are $80 cheaper each. Over $1000/pound for that weight savings… Actually, that’s not quite fair as I don’t know the relative weights of the two caliper styles. 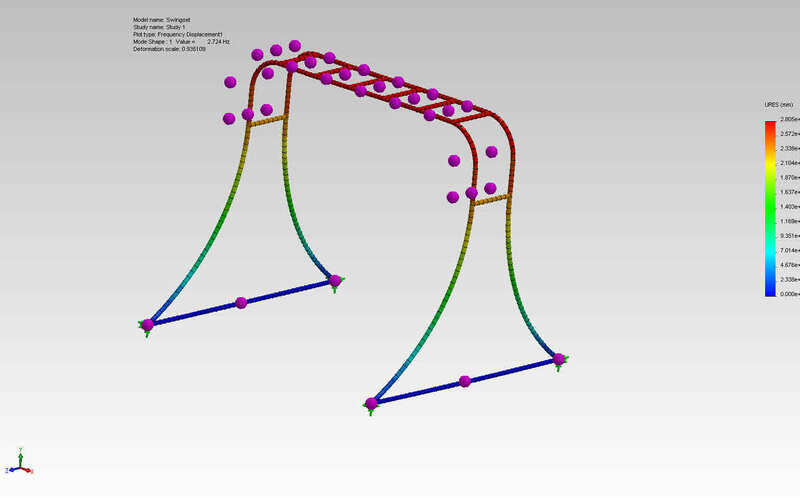 FEA plot for front upper suspension attachment bracket that will be welded to the chassis. 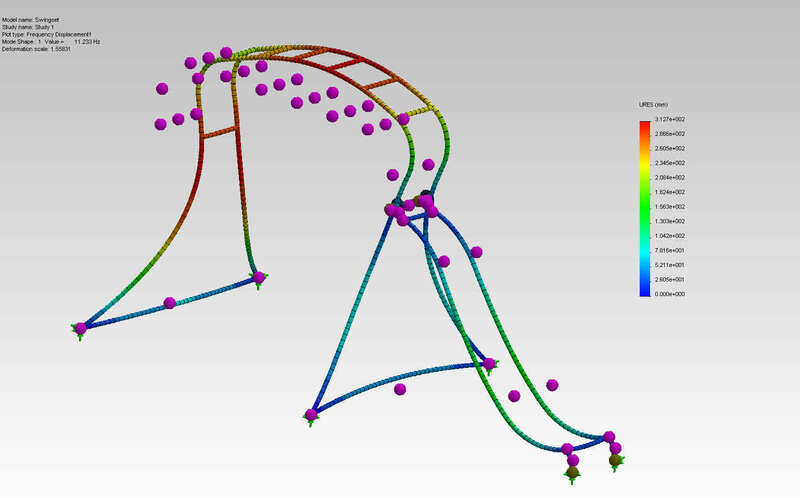 World’s First TIG-Welded, Finite-Element Analyzed Swing Set? Although I originally learned to weld over 30 years ago in college when my team was building a Mini-Baja race car, I never did anything with it as one of the other team members picked it up faster than me and ended up doing all the welding. 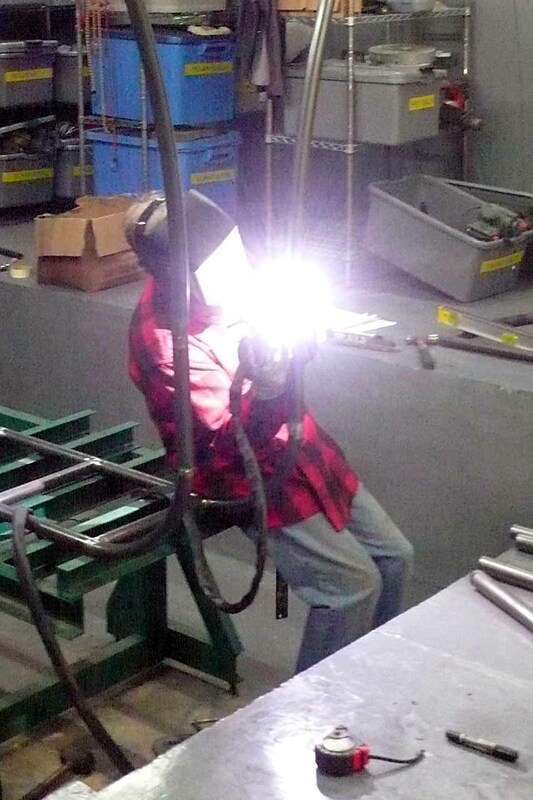 Welding has changed a great deal since then, so it’s time to relearn anyway. To that end I designed a swing set for my daughters, which I’m building with the same techniques I’ll use to build the Formula 1000 car, including the TIG welder, plasma cutter, tubing bender, and chassis jig table. When I got the initial structure built I found it had a large side-to-side resonant frequency that I measured at 2.50 Hertz. It needed to be stiffened up. Rather than take a guess at how to fix it, with the possibility of several iterations, I decided to do what I should have done in the first place and perform a proper finite-element analysis. I was pleased to find that the initial FEA results matched reality well, giving a predicted first oscillation mode frequency of 2.72 Hertz. Then it was a simple matter of trying out a few modified designs and finding one that was functional, cheap, easy to build, and looked good. I tried several forms of bracing but settled on simply adding a slide to one side. A more elaborate version of the slide had been present in my initial design but had been discarded when I found out how slow I am at welding. The new design’s resonant frequency increased to 11.2 Hz, an increase of over 300%. Indeed, where the frame without the slide felt quite wobbly, with the slide it feels very rigid. 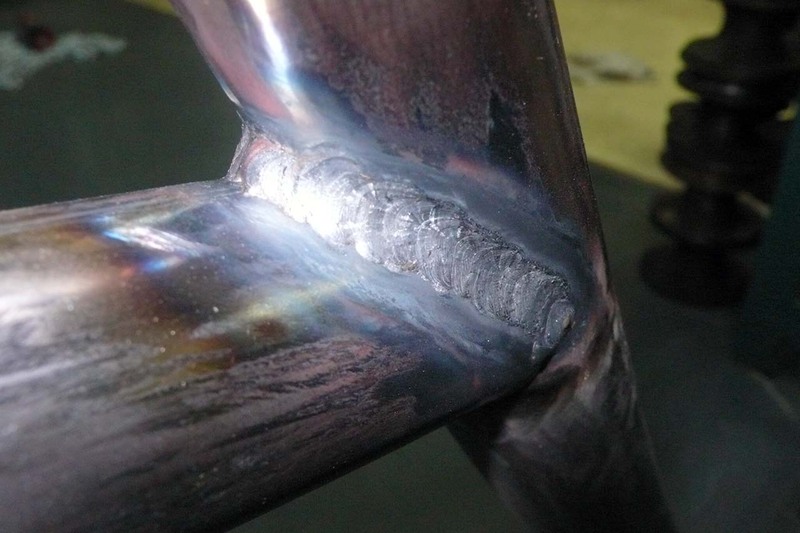 Learning to weld has been… interesting. Although I did find the appropriate pedal control for the TIG welder on Ebay in China, it turns out the pedal doesn’t work the same way as it does on an American-made welder. 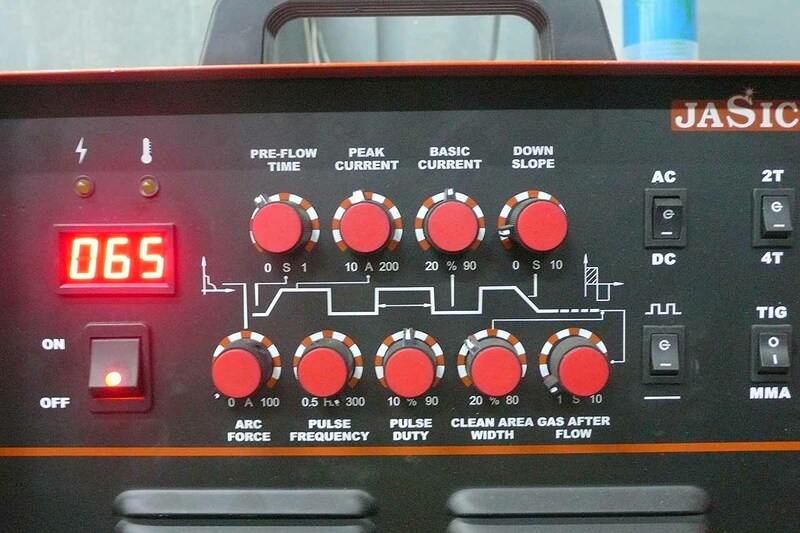 On a Lincoln TIG welder, for example, you use the front-panel controls to set both the minimum and maximum power and then the pedal moves within that range. On my Chinese welder, the current settings on the front panel are disabled by connecting the pedal and the pedal control range is always from zero to 200 Amps. Maybe this works OK for welding structural steel, but it’s not so wonderful for welding Coke cans. Or race car chassis, for that matter. So I had to take a step back, disconnect the pedal control, and through trial and error find a way to adapt the Chinese welder to my task. I spent some time poking around the Internet and learned a lot from this a most excellent thread on Race-Dezert.com, authored by one of the Gods of Fabrication. Based on some tips I gleaned from this thread, I switched to the smallest electrode (1 mm) and the smallest filler rod (1.6 mm) that I have. I turned the pulse rate way up to approximately the max of 300 Hertz, although it’s hard to say since there’s no readout, adjusted the pulse duty cycle to 50% and the “basic” current to 50%. At the higher pulse rate the digital readout gives an approximation of the average current instead of continuously changing semi-random numbers within the range like you see at the lower rates. When I nudged this averaged reading up from 60 to 65 Amps, things finally came together. I also bought a pair of cheap, strong reading glasses that I can wear under my welding helmet, and once I could see the process close-up and sharp I could make real welds! It turns out that the hot zone isn’t inherently fuzzy, it’s my eyes.